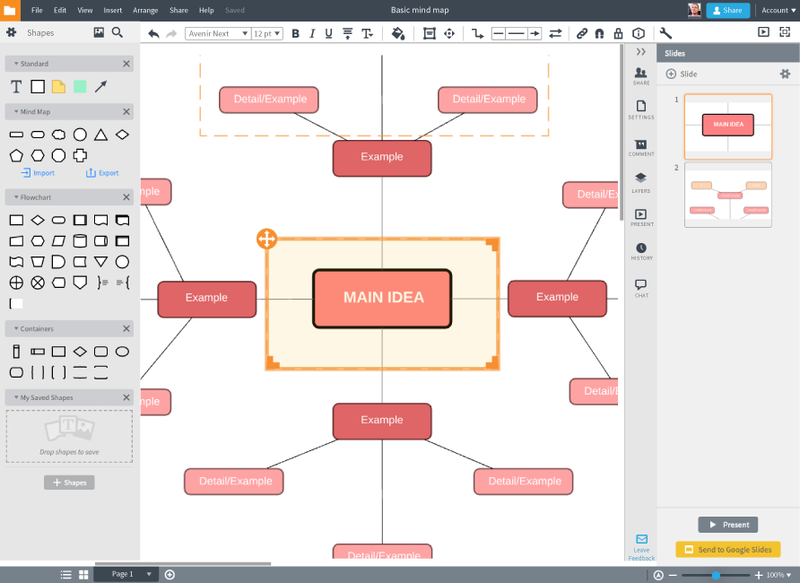 It’s easy to transform your brainstorming sessions and outlines into visual diagrams using Lucidchart as your mind mapping software. Auto-convert your ideas into organized mind maps online with just a few clicks as you import your .txt files or write an outline in Lucidchart. When you’re ready to share your ideas, you can simply export your mind map to an outline or a variety of file formats, including PDF, JPEG, and PNG. 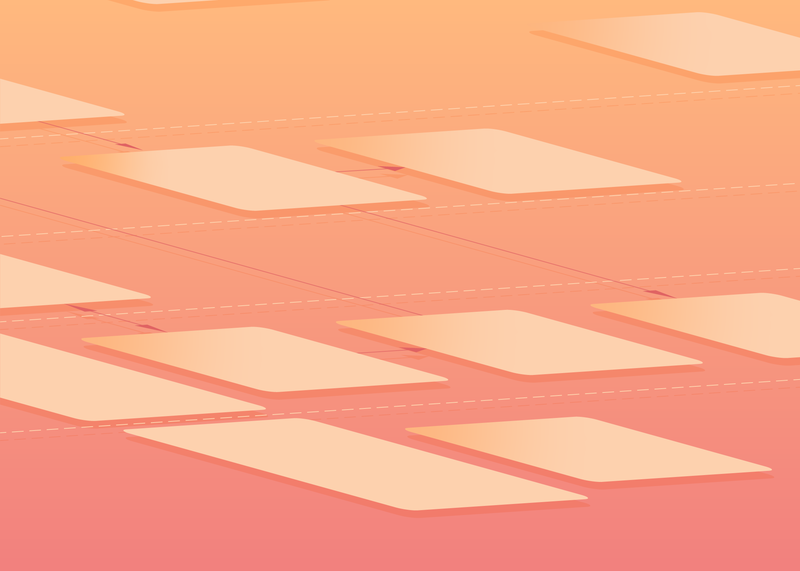 Streamline collaboration with real-time updates, in-editor commenting, and chat features in Lucidchart. When you’re ready to send your polished mind map with others, simply share a URL, embed on a wiki or, use presentation mode, or integrate your diagrams into Google Slides, Confluence, and Slack. 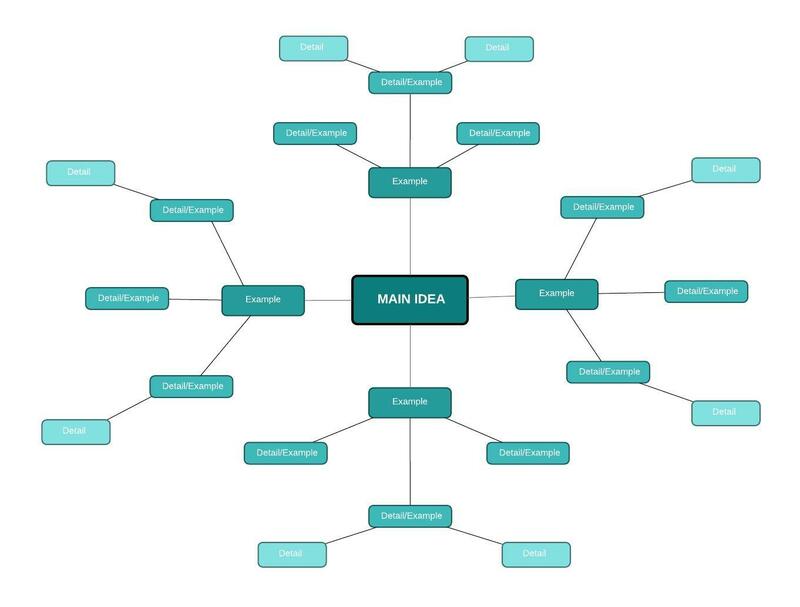 It’s quick and easy to deliver focused presentations when you select specific sections of your online mind map to share. Spend less time making presentations and more time sharing your great ideas. 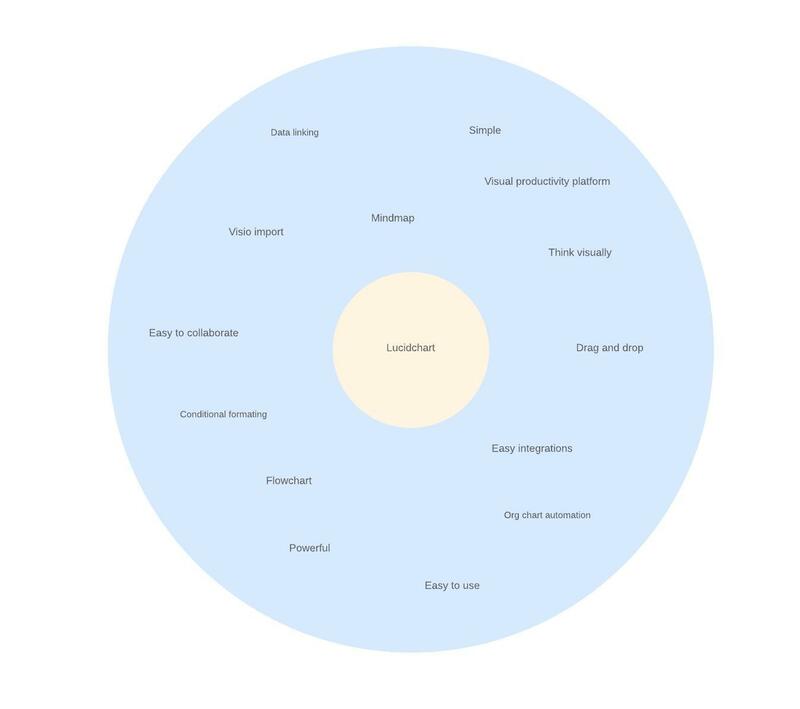 Lucidchart prioritizes an intuitive user experience from start to finish. 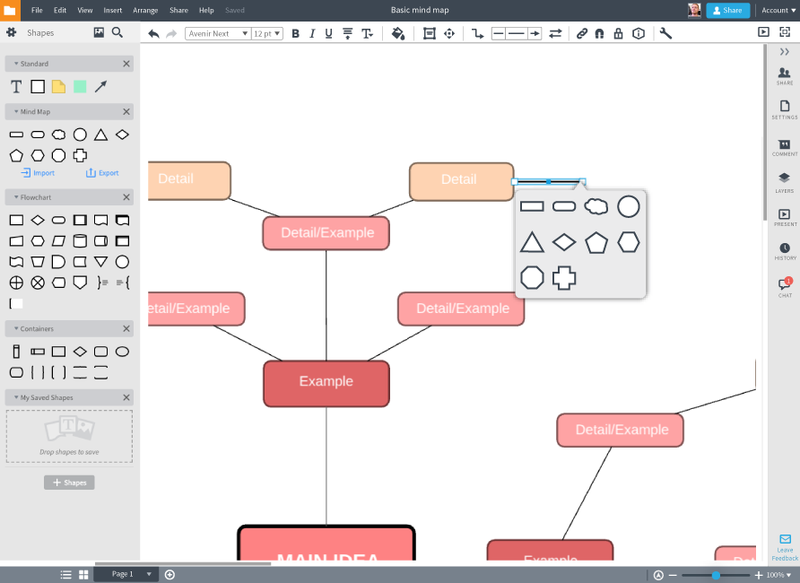 Simply drag and drop your initial shape and use keyboard shortcuts to quickly make a mind map. You can also take advantage of collapsible branches and auto-layout to keep the different levels of your mind map organized. All of these ‘smart features’ let you build out your mind map online and without interrupting your flow or thought process. 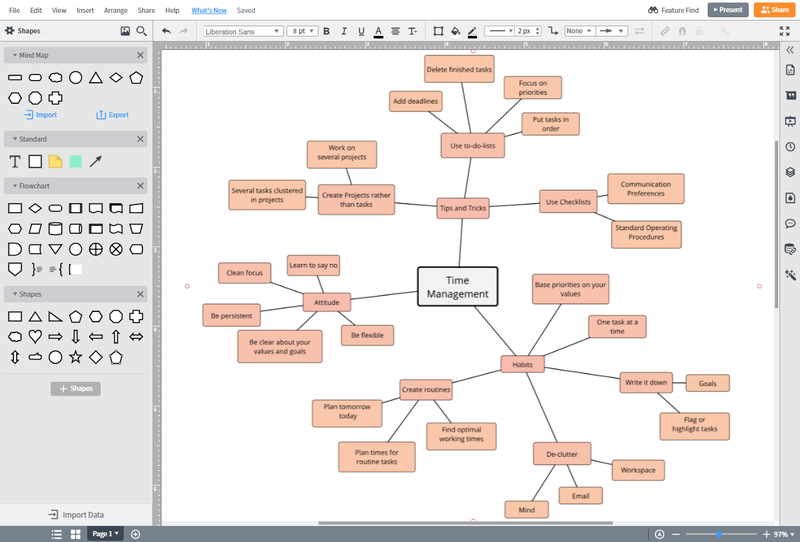 If you’re not sure where to begin, check out our mind map templates below that can be used for outlining and brainstorming. 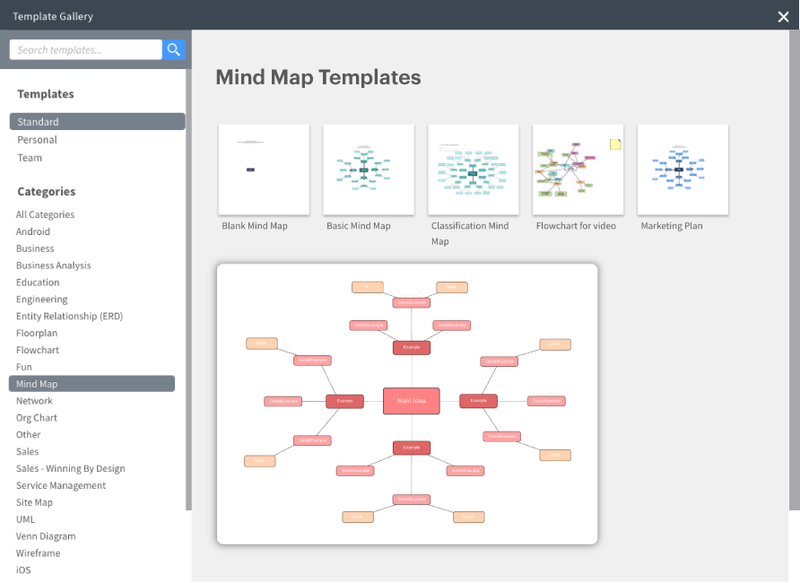 Getting started with our built-in mind map generator is simple when you take advantage of one of our templates and customize it to fit your diagramming needs. Gain inspiration as you see what others have created with Lucidchart to solve problems, make decisions, and manage projects. Use the hotkey Enter, and include more detailed information from each parent branch. Use the hotkey Z to collapse and expand these branches and keep your mind map clean and digestible. These additions help code and give meaning to your ideas. Lucidchart helps you organize different levels of thought within your mind map while tapping into the associative power of the brain to increase understanding. Share your mind map online with your team, even those who don’t use Lucidchart. Generated URL to share in popular app integrations with Lucidchart, embed your diagram in a wiki, or export your diagram and outlines to different files types. I have an outline of my ideas. 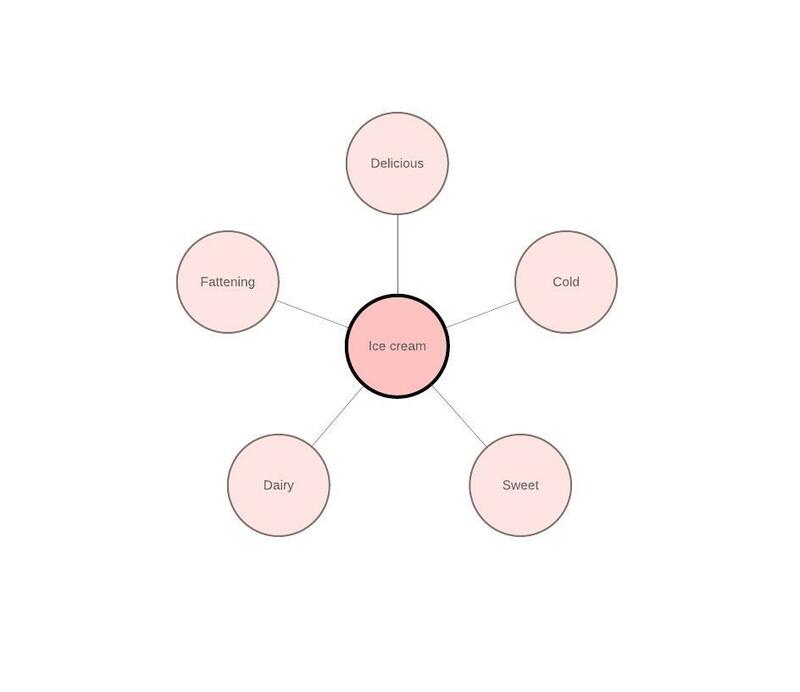 How can I use Lucidchart to build a mind map? 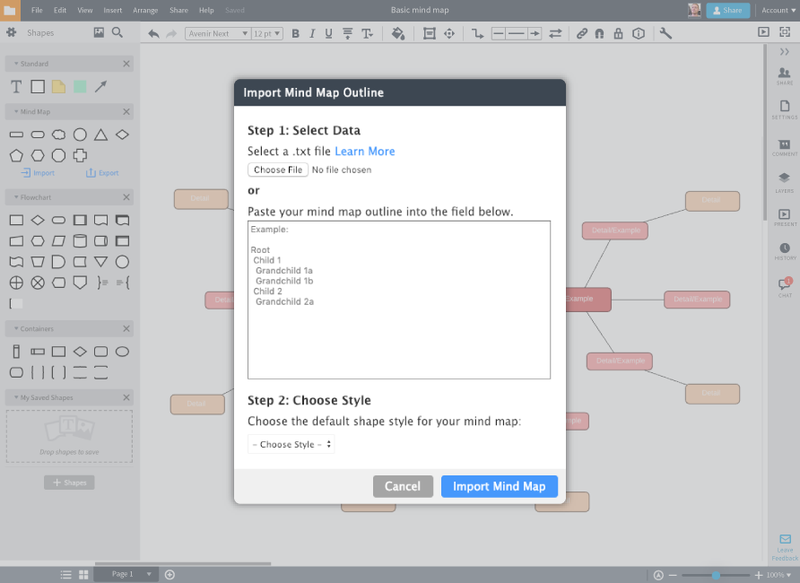 With Lucidchart's mind map creator you can import .txt files or add your outline directly in our mind mapping software to automatically build a mind map. Open the mind map shape library and click “Import” to get started. 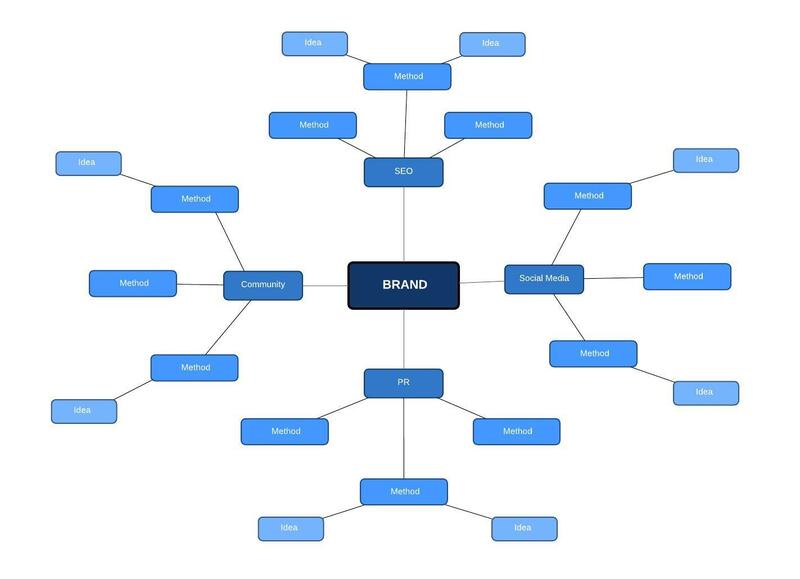 How can I present my mind map? Use presentation mode to create an easy-to-follow slideshow presentation on your mind map directly in Lucidchart. My mind map is too messy. How can I fix it? In Lucidchart, you can collapse child branches using the Z hotkey or use our auto-layout feature to keep your mind map organized without losing its complexity. How do I share my mind map with others? I want to speed things up. Are there any hotkeys I can use? 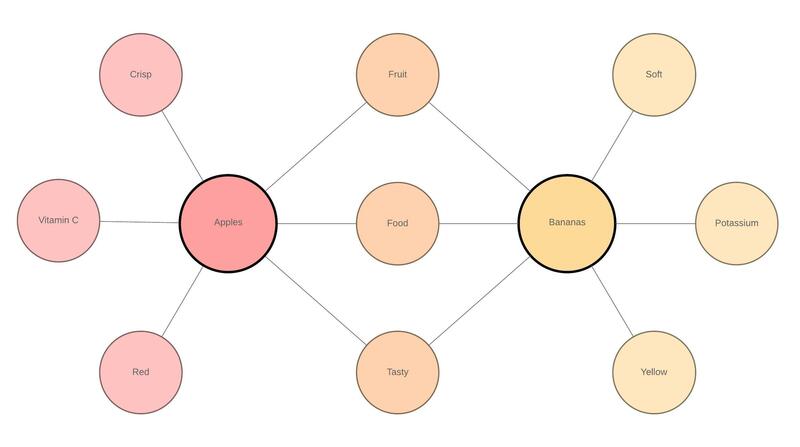 "Lucidchart provides the ability to build out mind maps and share them with key stakeholders in a project."